A “sagra” is usually tied to an agricultural season and features local food specialities. Sagra’s and Festa’ s have a “Cena” (dinner) in the evenings which is a low cost, communal meal with everyone sitting at tressle tables served by the young people of the village. The women of the village make mounds of pasta and the men cook the meat dishes over large bar-b-ques. After the dinner there is usually dancing in the open air where it seems that all the locals turn into Fred Astaire & Ginger Rogers and foxtrot the night away. It is a wonderful experience, you will be made very welcome and will instantly feel less like a tourist, but don’t expect 4 star service -everyone is a volunteer! February – Carnival time for the five days before Ash Wednesday . Most famously at Venice, but big events at Viareggio and Acireale. There are also local events to mark the occasion, Foiano has wonderful carnival processions on three Sundays before lent and Chiusi & Castiglione del Lago have children’s carnival events on the Sunday and as you can see parents dress up too. May – Festa del Ceri in Gubbio where three huge wooden shrines are raced uphill to the church. In Cocuilo in the Abruzzi mountains, there is a pagan procession of the statue of St Dominic Abate swathed in snakes (May 6). Maggio Musicale takes place in Florence with concerts and opera (May 2-end of July). There is a crossbow tournament in Gubbio on the last Sunday in the month. 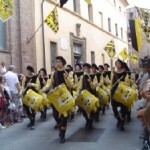 June– Orvieto celebrates with a wine festival. Historical Regatta of the Four Ancient Maritime Republics (Pisa Venice. Amalfi and Genoa). Spoleto’s Due Mondi international festival of music, ballet and theatre from last week of June to second week of July. 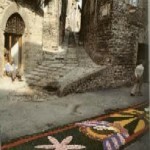 Corpus Domini (June 17th) there are many examples of flower pictures on Town streets -Fiori L’infiorita (Carpets of fresh flower petals) and attendant religious processions – try those at Orvietto, Citta della Pieve and Spello. On the same day Bevagna recalls Medieval times by turning several of their streets into a living theatre depicting local crafts and market scenes of the time. 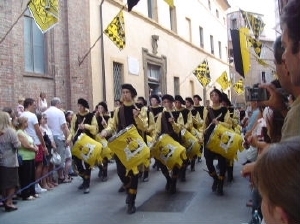 In Florence there are medieval football games and costumed pagents on June 24 and 28. 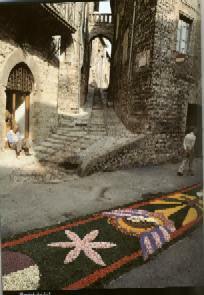 August – traditionally Italy is on holiday during August and people come from Rome to stay in our area. Even then the area is not crowded . 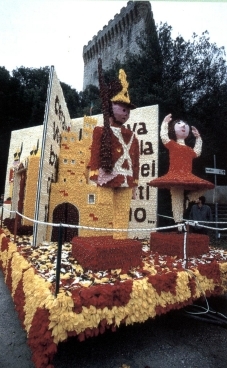 Assisi celebrates the Feast of St Clare on the 12th Cortona celebrates the Festa of the Bifesteak on Assumption Day (15th), Montepulciano celebrates Brusccello on the 14th – 16th and the wine barrel run known as Bravio delle Botti on the last Sunday in the month. September – Cheese festival at Pienza on the 1st Sunday in the month, Grape harvest celebrations are held all over the area, best locally is Panicale. 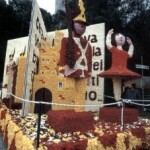 Particularly lively is the Chianti Classico wine festival in Greve late September. 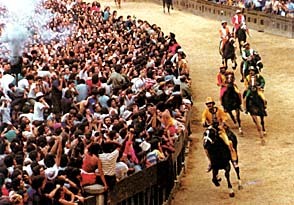 Palio in Asti on the 3rd Sunday . Costumed Tournament at Foligno (on the 2nd Sunday) where 600 knights meet in jousting contests. Music festival at Citta di Castello. 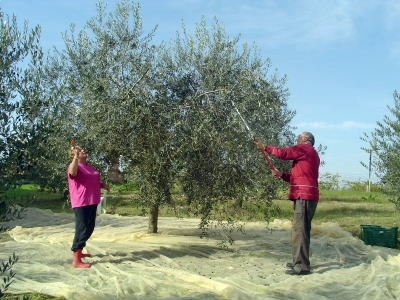 November – Olive picking and some accompanying Festas mainly in the local Frantoia’s (Oil Presses). The best locally is on Isola Polvese on Lake Trasimeno. Come and help us harvest our own Olives, enjoy Bruschetta made with our own Extra Virgin Olive Oil and maybe take some home as a memory of your holiday. 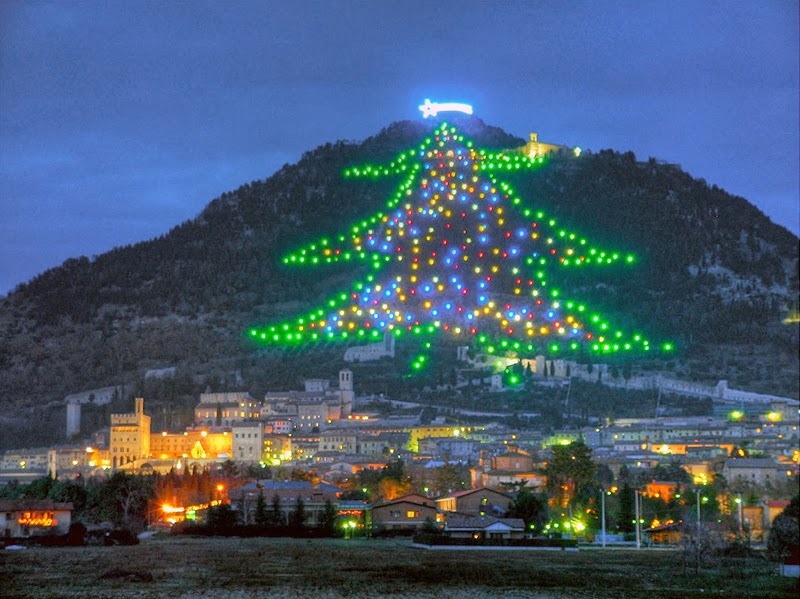 December – Umbria lights up in December as the villages and individual homes festoon their trees with sparkling Christmas lights. Beautiful Nativity scenes and Cribs are to be found locally in Citta della Pieve, Paciano and best of all Corciano, where several streets are devoted to near life size tableaux of the shepherds and Kings coming to visit the baby Jesus. Come and enjoy a traditional Christmas & New Years celebrations (with many fireworks) in Umbria.